We are looking for a dedicated, experienced and motivated Room Leader who is committed to providing high standards. You will need a Level 3 qualification in Childcare and Education and have experience in a Senior Role. 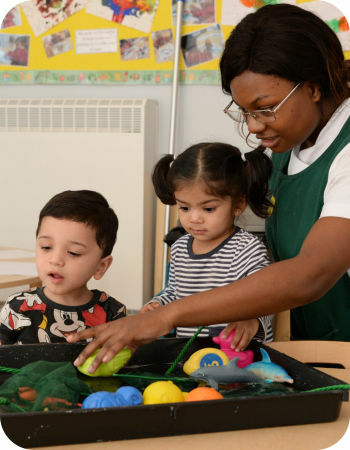 The purpose of this role is to be part of the of the senior team, to manage and be responsible for a room and to assist the nursery team in providing children in our care with the opportunity to learn and develop to their fullest potential in a purposeful, friendly, caring and relaxing environment in which they are safe and happy at all times. Application by CV and covering letter addressed to Hayley Fox, Senior Nursery Manager. We are looking for dedicated, experienced, motivated and committed Nursery Nurses who have a good understanding of the EYFS. The purpose of the role is to provide the highest standards of care and education giving the children the opportunity to learn and develop to their fullest potential.